We must remember the law of Cause and Effect: Whatever we think about enlarges. Pg 264 "The Light Workers Way"
Lately, there has been a shift in me and while it still may be a subtle shift that others haven't seen, I feel it within myself. I can't point a finger directly to the moment or color the picture exactly as it appeared but I know it happened and I know it is. The shift has been a long time coming to me and one that while I've been fearful of has wanted to embrace me. Out of this shift, I am beginning to understand just how important our thoughts are to everything that happens in our day. It wasn't that long ago that I would have said, right - hogwash - this ain't reality. But I'm beginning to understand and be taught in the gentleness of ways that this is pure truth. It really is that hard or that simple. Of course this is my own growth and I can't ask anyone else to believe this until you've pondered its truth for your own life. Only then will the truth be shown to you. But one thing I started back up (although in a different form) was my gratitude list. Jeff and I used to do this at night before we went to bed and while I feel that was correct for that time, I found myself struggling to remember all the grateful moments of the day. So this time I changed how I am doing this. I have put a large see through jar (think it was a animal crackers jar before) right next to my desk where when I'm on the computer I can see it at every moment. I've got a lot of little pieces of paper cut up and in a location within arms reach of the jar. So as I find the grateful moments during the day, I take a piece of paper, write them down and then sign it with the date. There's a few things I want this to give me. When I'm thinking things are going rough I want to be able to look at my container and see just how many things I am grateful for. I want to do this throughout the day so that my thoughts focus more on that which I'm grateful for and less on that which is nothing more than negative thoughts for myself. I'm anxious to see my jar fill up and then go back and read all the things that maybe will be hard to remember. 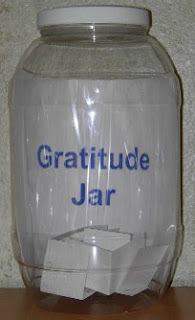 So my challenge to you today is that if you want to give your life one heck of a boost, make yourself a gratitude jar! Find a clear see through container and keep it somewhere that you will see it most frequently. Keep some spare pieces of paper and a pen close by so that you can add your little gratitude moments to it without any effort whatsoever. And then watch it grow and become who you are! Try it for a month or two and see just how it affects your life. I'd love to hear from people who do this and I'd love to hear the effects it has had on your life. And may love and peace come to you at some moment during this day. I've been busy on many fronts lately and wanted to share all the exciting news with you.  - I've recently set up pages on the social networking sites around the internet such as Xanga, Myspace, Facebook and Blogger. So if you have an account on one of these sites, go to my website and click on the corresponding button and add me as a friend! I will attempt to keep them all up to date with more information. - I am also starting on a book in regards to a more detailed view of my journey from paralysis to where I'm at today involving all the struggles, triumphs and lessons learned along the way. There is no time frame yet on when that will be completed but hopefully in the very near future. - And last but not least there is a new CD single coming out! I expect it to be out and ready within two weeks and you can check out more information on it by going to my website. The title of it is "Meditation Music: Healing Angels". The music is very uplifting and healing and has some special artwork done for the cover of the CD by a very talented artist. To stay up to date and for more information on any of these topics, just go to my website http://www.donshetterly.com . And make sure you pass this along to a friend - encourage them to check it out and sign up for my mailing list! As always, I'm grateful to each and every one of you.